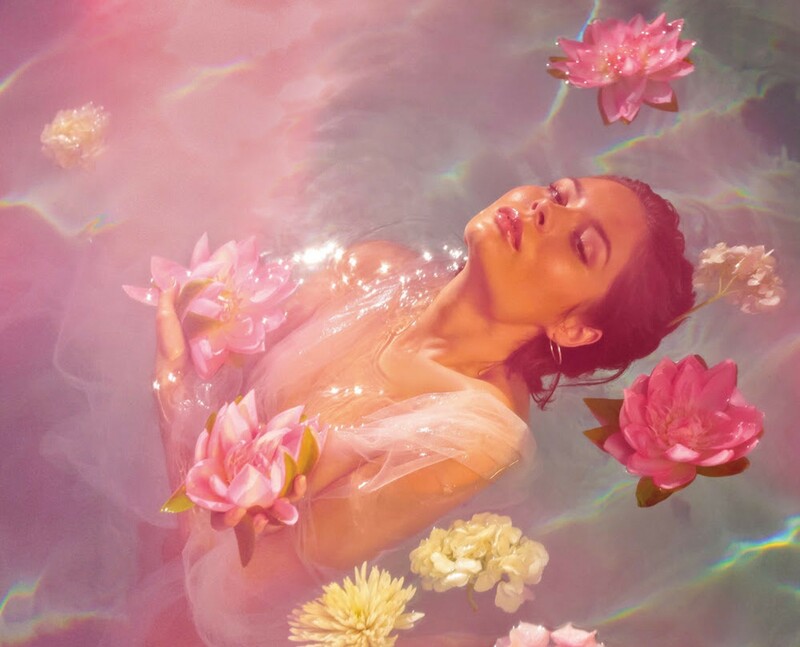 Nina Nesbitt has released a stunning album which will undoubtedly put her on the map as a global pop star. What would you do if you seemingly had everything important to you taken away and – despite your hardest efforts – were just known by everyone as the girl who “sung a song that they knew”? That’s where Nina Nesbitt’s story on “The Sun Will Come Up, The Seasons Will Change” begins. And, as we learn through this remarkable album, through everything she has remained a true artist. She’s had a very public relationship and a very public split with her label (following a very successful debut album in the UK) and through all of it she has done the only thing a human can really do in such bizarre circumstances: Grow. It takes a unique set of circumstances to get to the album that Nina Nesbitt has: being at the top and falling to the bottom, finding love, discovering you inner-fight, all on top of the usual dilemmas facing any 20-something. This has all led to something which is beyond any “difficult second album” reference… it’s a genuinely outstanding piece of art from one of the UK’s next great exports. For the public, “The Sun Will Come Up, The Seasons Will Change” all started in July 2017 with the release of her first single signed to indie label Cooking Vinyl – “The Moments I’m Missing”. The song, reflecting on growing up, still stands up as a highlight on this album; but in truth it isn’t the start of the story. To get to the beginning you would have to skip ahead to track 9: “Empire”. Recorded after being dropped from her label, and at a particular low-point in her career, “Empire” is a hero’s moment… a turning point. Just when you think they possibly couldn’t get back up after being beaten down – they reflect, they plan and they make a massive comeback! The first lyrics, “I haven’t played a show in far too long” and “people keep asking me where I have gone” give a sense of where she was when we all thought that it was Game Over. It’s a will they/won’t they – and she did. It’s insights like this which make the album as personal as it is. New song “Is It Really Me You’re Missing” was on hold for Rihanna for a while and, honestly, it’s a rare moment where we’re happy not to hear Rihanna’s voice. The powerful vocal performance is perfectly fitted to Nesbitt’s voice (she did write it after all) and, much like the rest of the album, wouldn’t sound any better being sung in anybody else’s voice. It’s Nina Nesbitt’s story and she’s owning it. The album is full of irresistible love songs – “Love Letter” sounds like something from a scene of Cardi B’s “I Like It” AMA’s performance whilst “Things I Say When You Sleep” is a near-tearful love letter admitting her love and, in line with the album’s recurring theme, owning it. Nesbitt’s whispering vocals add a depth to the song which most vocalists would struggle to reach. The production evokes the feeling of seeing fireflies in the night sky – something truly magical. This is not a love album, though. Yes, it has love songs on it – but it has much more than that as well. Through the aforementioned “The Moments I’m Missing” as well as “The Best You Had” (which was highlighted by Taylor Swift on her Apple Music playlist when it was released as a single) and “Chloe” (about discovering that her friend is due a baby, and realising that for Chloe, this is all she was looking for in her life) it’s about growing up. “Empire” and “Sacred” is about reputation. The singles also shine amongst all of the new music; the streaming hit “Loyal To Me” is a stone cold pop banger, “Somebody Special” will always sound magical with everybody in the crowd singing back and “Colder” is a pop hit in the making. “The Sun Will Come Up, The Seasons Will Change” is about not giving up. When everything changes, when your life is seemingly thrown up in the air and you have to re-discover yourself, who will you find and how will you cope with it? As the title track’s name suggests, perhaps the end result is realising that no matter what happens, tomorrow is an opportunity to make that next step. For Nina Nesbitt, the combination of a difficult five years (the new album comes out exactly five years to the date of her debut “Peroxide”) has led to a stunning album which will undoubtedly put her on the map as a global pop star. We just hope that not so many Seasons need to pass before we hear even more new music.